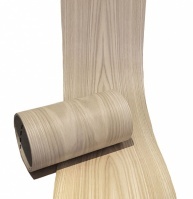 The White Oak Wood Edging is un-glued and comes in a 0.9mm thickness. It is available in 22mm & 30mm width, select from the drop down box above. Price is for 100mtr roll.